Sorry, no review of Atari Greatest Hits: Vol. 1 yet. 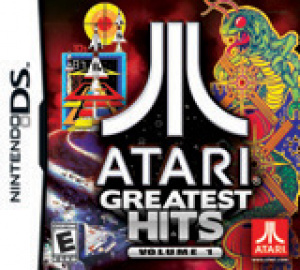 Atari Greatest Hits Volume 1 delivers 50 iconic Atari games to the Nintendo DS. The compilation game simply gives you the best of Atari’s arcade and 2600 games. With 50 all-time favorites including Pong, Asteroids, Centipede and Missile Command and available single cartridge multiplayer, the fun never ends. For those who love the classic gaming experience, this handheld breakthrough is sure to guarantee hours of fun on the go. 50 games? Sounds like some serious bang for the buck and like it could put the 360's Game Room to shame. The 2nd best DS game I have ever PLAYED!